You never settle. Neither do we. At The Online Practice, we stop at nothing to make sure you meet your goals, attract new patients, and capture the best value in online marketing. No Setup Fees. No Contracts. No Worries. We could go on for days about how our easy solutions will help save you money. 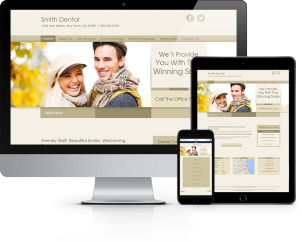 But we'd rather show you exactly how our online marketing will help your dental practice attract new patients online, no exceptions. 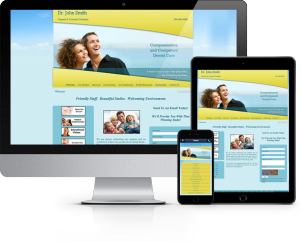 With a new website, your practice is just a Google search away for every potential patient in your area. Start welcoming them today. No coding skills? No problem. 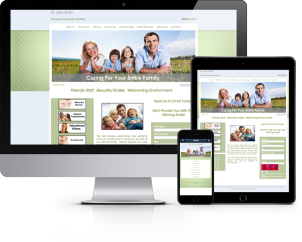 Our sites are easy to build and maintain. If you found this website, you already have all the expertise you'll need. You'll never have to feel lost again. We're here to help. Contact our Rockin' Web Support team as often as you like. Find the design that perfectly represents your practice's services, branding, and content. The tools you need to effectively manage your practice in the online marketplace. From classic to hyper-modern, we've got the look you'll need to help your chiropractic practice make the best first impression possible. The gallery is always growing. Check out our latest additions!